From the ashes of the Murano glass factories, Foscarini has been manufacturing contemporary lighting from its headquarters in Venice since 1981. Ideas, forms and materials light up and transform proposals and initiatives from international designers, while the company is careful in observing its Murano heritage. 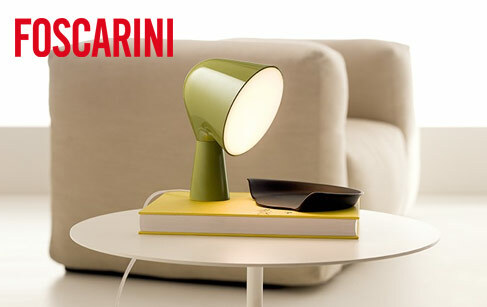 The colourful and affordable Binic Table Lamp from young designer, Ionna Vautrin or seasoned designer, Patricia Urquiola’s Caboche Umbre-Supsension Media are just two examples of how Foscarini works with both established designers and younger ones, which makes for a highly original and varied selection of products that is a rare exercise in trend-setting, research and scouting of new talent.